One of my mom's favourite genres is murder mysteries, so when I was thinking up themes for this week that's one that I knew I wanted to do. I decided to use my MoYou Comics plate that I've used for pop art looks in the past (like this one). All it took was being selective in which images I used and a murderous colour palette and pop art turned to drama! FUN. Hahaha. 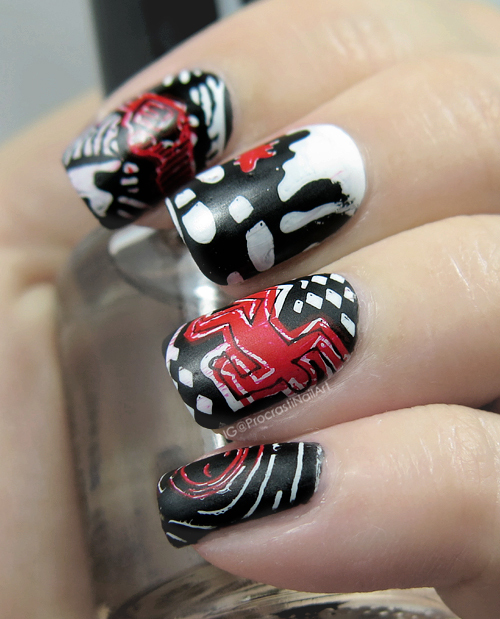 I started off with a fully black base with Ceramic Glaze Little Black Dress, and then layered on my white stamping with Mundo de Unas White and MoYou London Comics Collection 03. 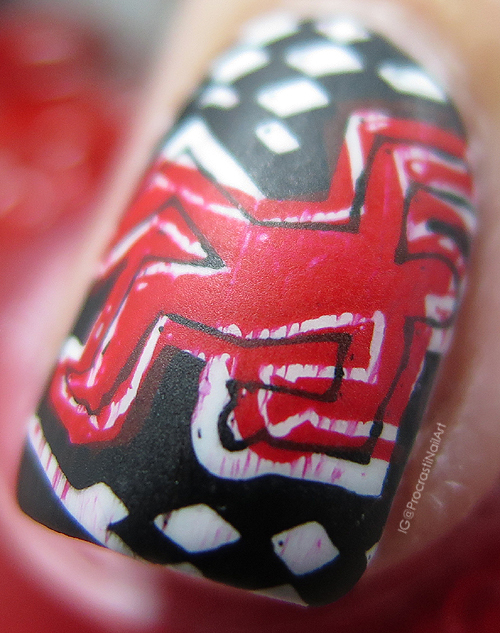 When that was dry I did some double stamping with parts of the same images and my Konad Red Stamping Polish. 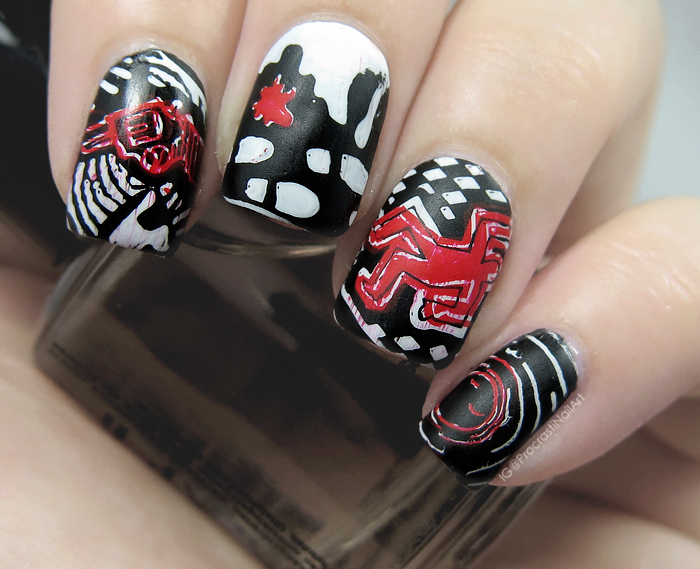 Originally I was going to do stamping in white and different stamping in red, but I found that my red polish wasn't opaque enough over the black to work on it's own. I think this worked out as a fun alternative though, and even the slight smearing that happened with the top coat works - it just looks like smeared blood! Haha. Too morbid? 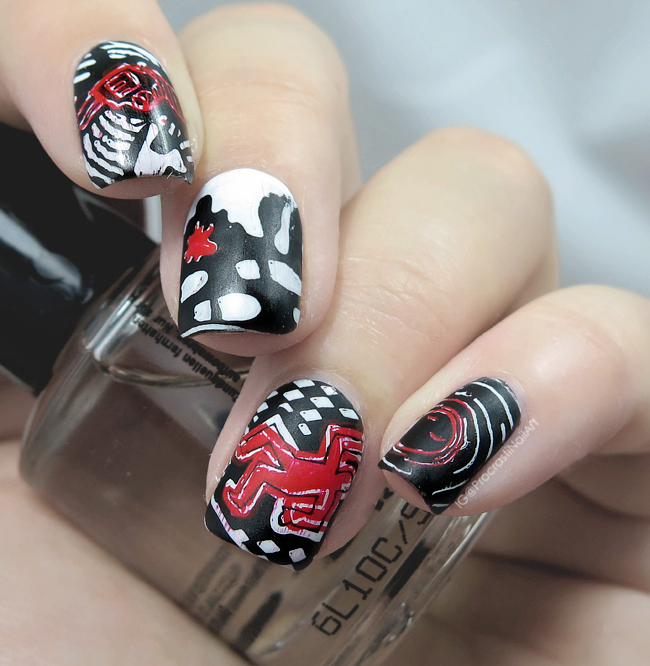 Let me know what you think, and don't forget to check out the other looks below too! Since I'm a day behind I will have one more DD look out tomorrow, so make sure to come back to see it! Love how these turned out. These are so great. I love them!